Open Assembly was founded in alignment with the Laboratory for Innovation Science at Harvard and research pioneered by Professors Karim Lakhani and Michael Tushman. John Winsor and partners bring more than 30 years of collective experience in thought leadership, entrepreneurship and advising on the study and building of open platforms in private, public, and nonprofit sectors. 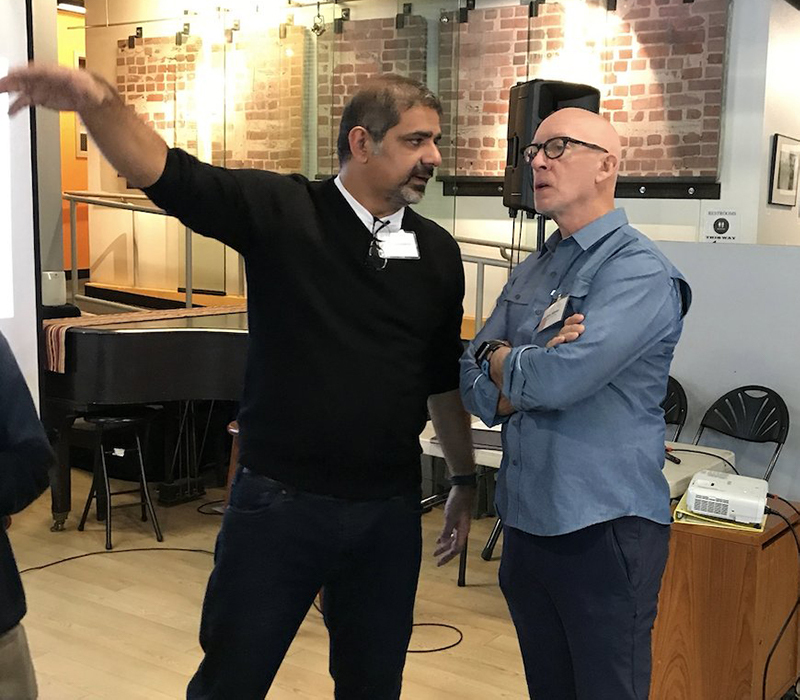 Karim Lakhani, Harvard Professor and Open Assembly Advisor, with John Winsor, the Founder and CEO of Open Assembly. The Open Assembly team brings experience from academia and industry, collectively running over 1,000 challenges in data science, engineering, life sciences, organizational management, brand strategy, marketing and various engineering technologies. The team has also implemented systematic OI programs in a range of organizations, helping organizations understand how OI can be integrated within their own innovation processes, and how to enable learning, piloting and scaling of OI programs to deliver results.